NRA: More Guns, Please; we’re Americans! In a surprising move, the National Rifle Association has announced that the solution for too many guns in the hands of homicidal nutters is not less guns, but more guns. It took them precisely one week after the massacre of first grade school children in Connecticut to arrive at this conclusion. 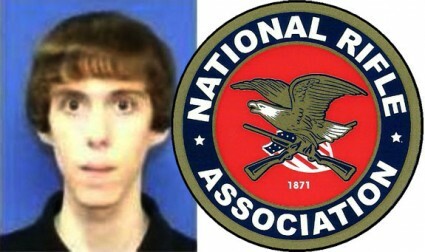 The NRA proposes posting gun-toting Americans at all schools in order to protect the students from gun-toting Americans. 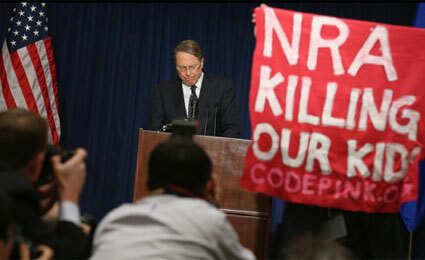 In its defence, the NRA is known for its staunch support of gun-owners, rather than the depth of its intellect. Most lawmakers and political commentators, including the President, have called for reducing the number of high-powered weapons with high capacity magazines in the hands of low-powered loonies. 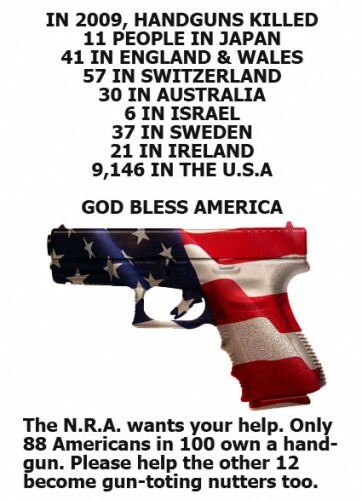 Posted in US policy | Comments Off on NRA: More Guns, Please; we’re Americans!